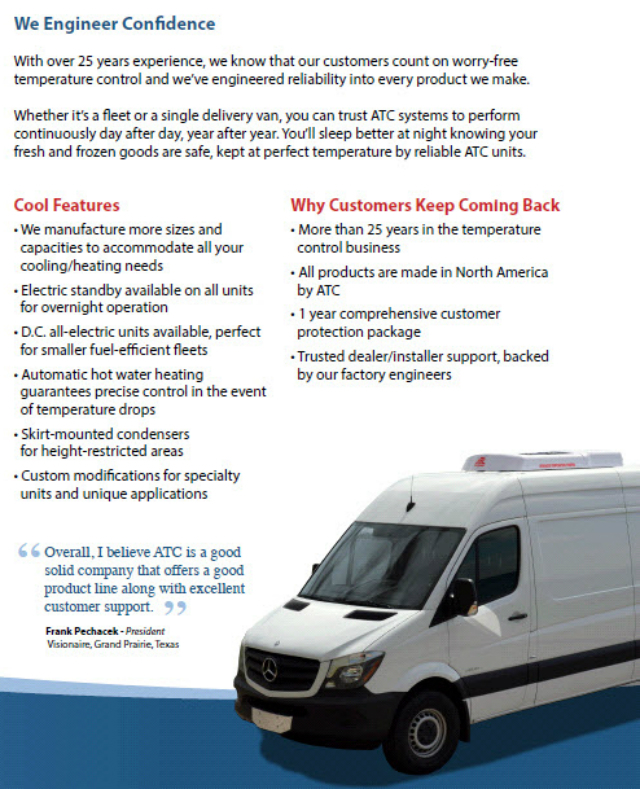 Advanced Temperature Control has been proudly manufacturing in North America for over 25 years. 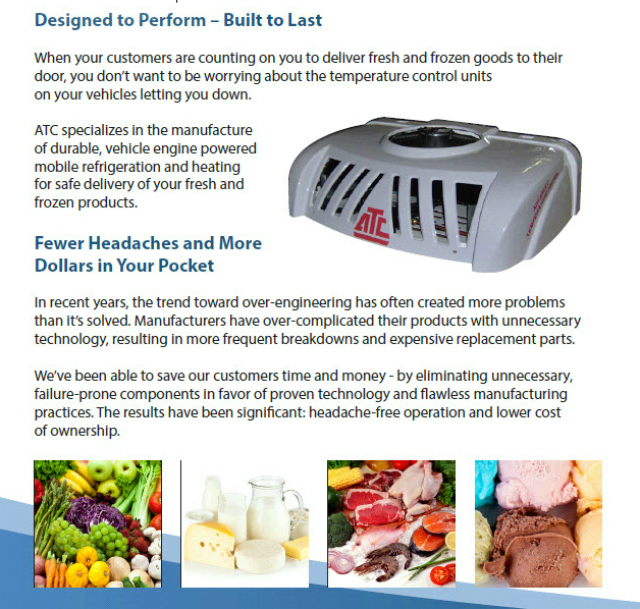 Our line of Truck Refrigeration products has been continuously updated and improved to meet the requirements of today’s competitive markets. 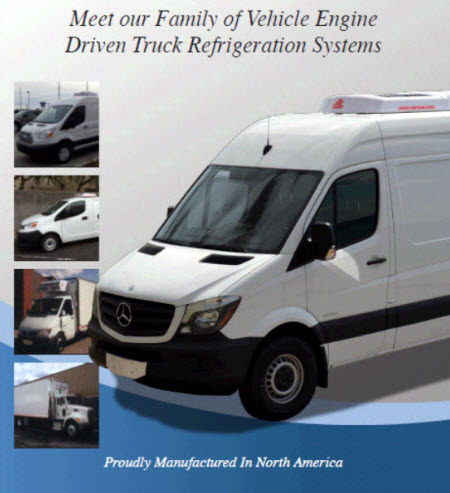 As a manufacturer of van and truck refrigeration systems , we offer a solution to suit your needs. To arrive fresh, products need precise and constant temperature to survive during transportation to their final destination. In northern climates, temperatures can range from well below freezing to close to 100F or 40C on hot summer days. The solution was to develop units that not only cool to the precise temperature, but automatically switch to a hot water heating mode if required. 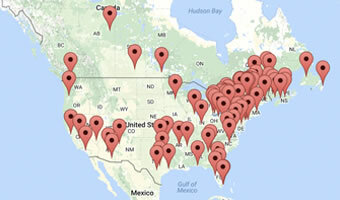 Distributors can now transport their products knowing the pre-set temperature that is ideal for their product will be maintained regardless of outside ambient temperatures. 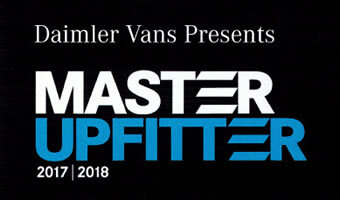 Click here to view more Reefer Trucks. 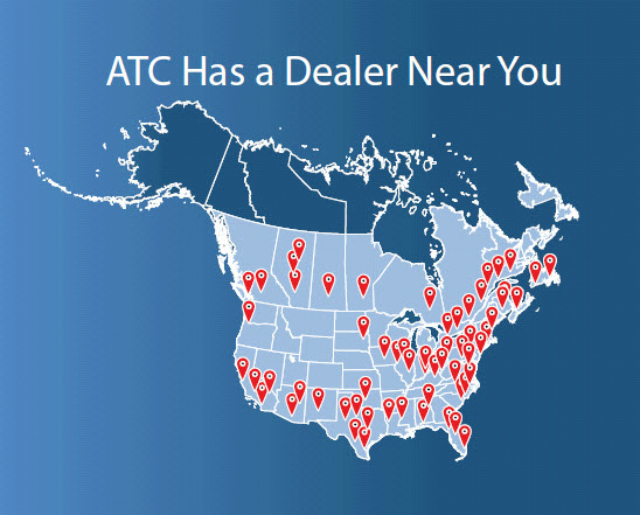 Extensive dealer network – With coverage throughout North American, Guam, Hawaii and Puerto Rico which offers both installation and on-going service support, Advanced Temperature Control gives you the peace of mind and confidence you require to support your mobile refrigeration needs. Need to protect perishables, ensure Floral and Bakery freshness, guarantee safety for Meat, Seafood and Medical supplies? Our systems feature an In-Cab control to set the desired cargo area temperature and a digital cargo area temperature display. We also have as an option automatic hot water heating for over the road operation and automatic electric heat for over night storage operation.